We all know men and women are different and this includes heart attack symptoms, too. You may be surprised to hear what some of the symptoms are, especially in women. Here to help us with this important issue is women’s health expert and pharmacist Marla Ahlgrimm. Q: Are there distinct recognizable symptoms of the onset of a heart attack? Marla Ahlgrimm: Yes, although for women, a heart attack is a little more challenging to diagnose. In fact, she might not even see the typical squeezing chest pain that you see in men. Women sometimes experience shortness of breath, back pain, jaw pain, even flu-like symptoms. Some just have nausea. Q: How can a woman be sure that she’s having a heart attack? Marla Ahlgrimm: Women need to pay attention to their risk factors and symptoms and know if these symptoms are happening with exertion and relieved with rest. If you have risk factors it’s very important to get evaluated for your heart. Q: What are the risk factors associated with heart disease? Marla Ahlgrimm: Diabetes, obesity, high blood pressure, high cholesterol, and smoking are all factors that significantly raise a woman’s risk of heart attack. Q: What if I am with someone exhibiting heart attack symptoms? What should I do? Marla Ahlgrimm: It’s important to take the person’s risk factors into consideration. A heart attack doesn’t come from nowhere. Have the person chew on two aspirins and call 911. Q: Chewing aspirins – not swallowing? Marla Ahlgrimm: It’s better to chew them; they get absorbed much quicker. Aspirins can actually prevent a full blown heart attack. 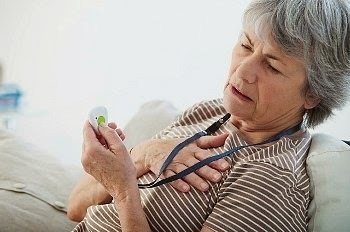 Q: Do women experience any warning signs prior to a heart attack? Marla Ahlgrimm: Yes, these symptoms can appear a few days or even a few weeks prior to a heart attack and include anxiety, sleep disturbance, heart racing, and loss of appetite.